Last month I mentioned that I was going to start doing a home decor series on the blog where I focus on a different space each month. You can check out my first post of the series on a plethora of fabulous closets here. 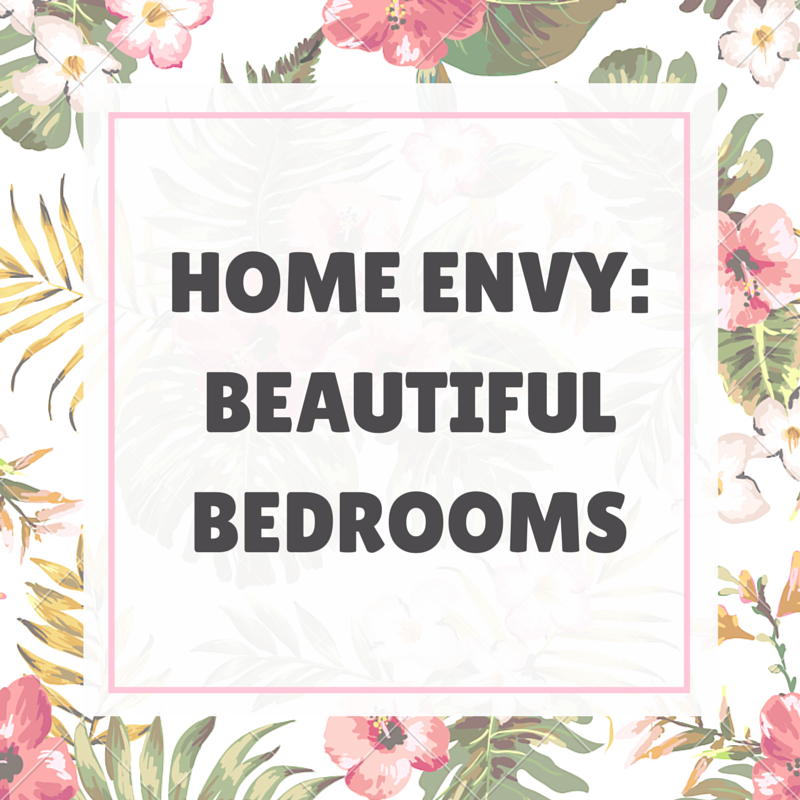 Today’s focus is going to be all of the beautiful bedrooms that I am wishing could be mine…let’s hope that maybe they will be someday. This bedroom is really elegant. I loved the muted color scheme and of course, the gorgeous chandelier. It’s very classy and I can definitely see myself recreating this bedroom in my future home. This bedroom is just fun. 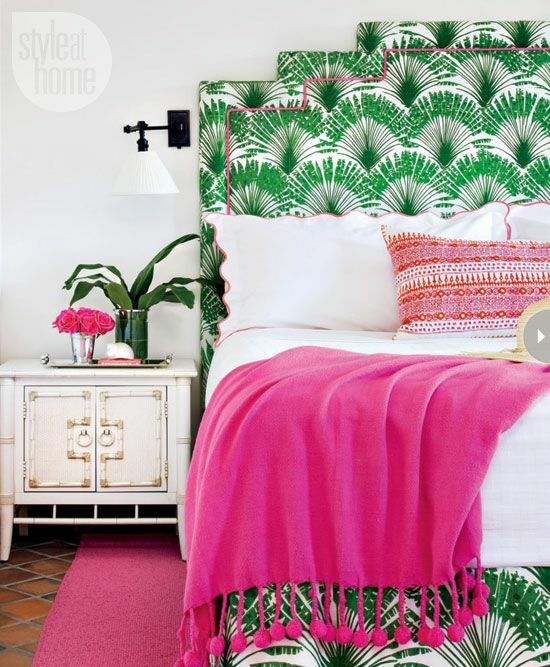 I love the tropical feel and think it would look absolutely adorable as a bedroom in a funky little beach house. I feel like this would also be a fun guest room because in my opinion it’s a little loud for everyday use. My favorite color scheme for a bedroom: white, pink, and navy. It looks very elegant but still has fun pops of pink so it doesn’t look so muted. 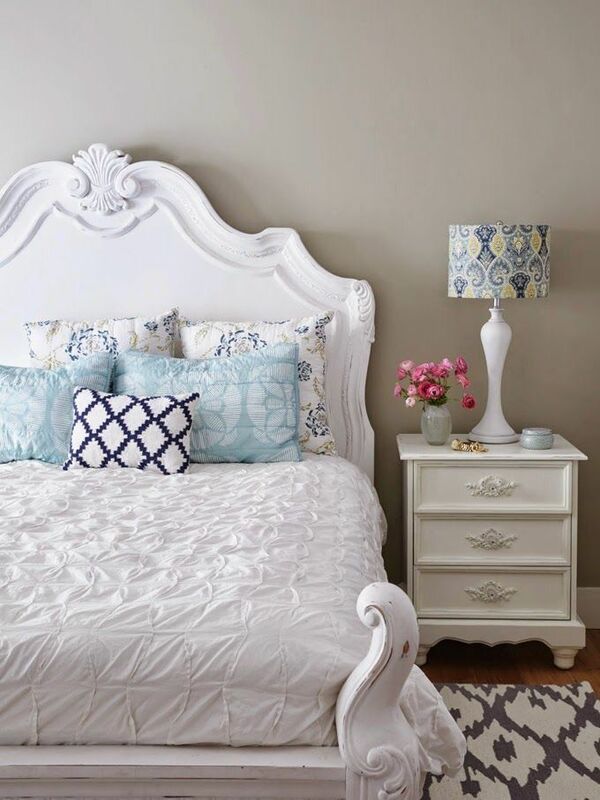 I love the look of the tufted headboard and footboard. I also like that you could easily switch it up with different throw pillows to add more color to the room. 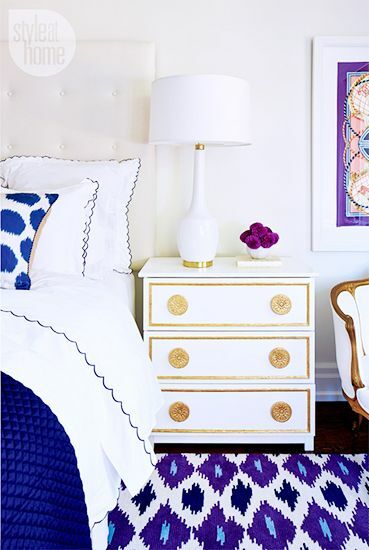 I am loving this blue and white room with tiny hints of purple and gold. I love white bedding because it is so clean looking. That nightstand is also something I can see myself owning in the future. I think this room might be one of my favorites from the bunch. I am obsessed with mirrored furniture and would love to own some in the future. 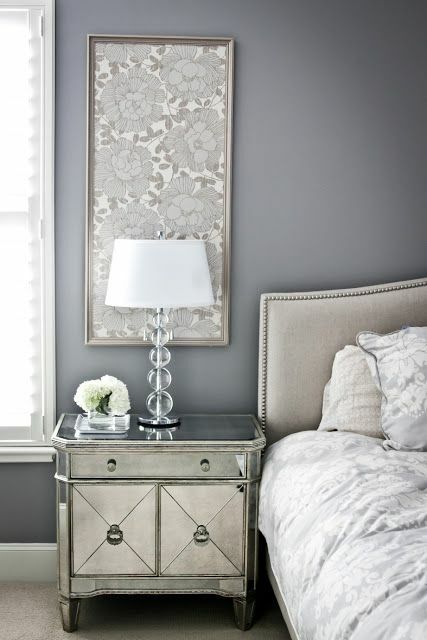 The neutral color scheme is so classic and creates a sophisticated appearance. The simplicity is what makes it so beautiful. This bedroom is a little more wild, but I am loving it. I am not the biggest fan of the color purple but the wallpaper and gold accents in this room are gorgeous. Another classic neutral bedroom. 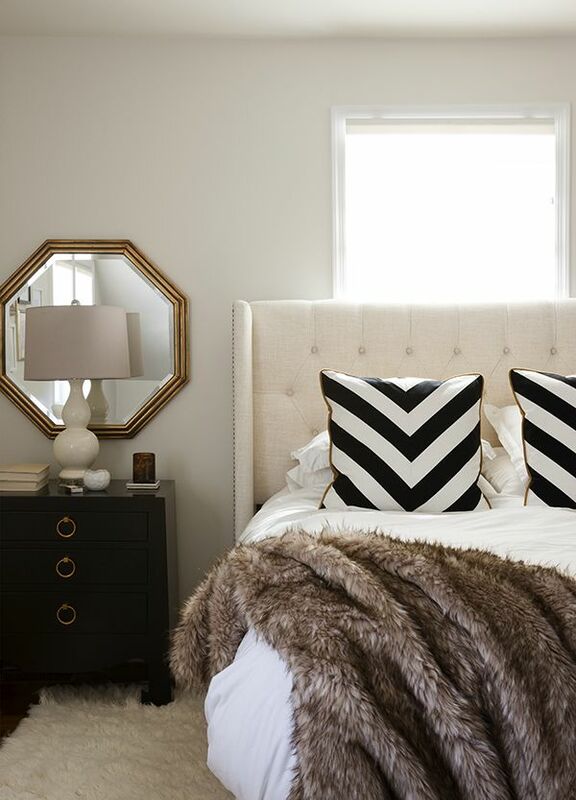 I am loving the faux throw and the chevron pillows to add a little pattern into the mix. Not going to lie, I am not a super big fan of the rugs or the animal print stools, but I am very in love with how the wallpaper matches the headboard. It’s a really cool effect and that’s pretty much the main reason I included it in this post. 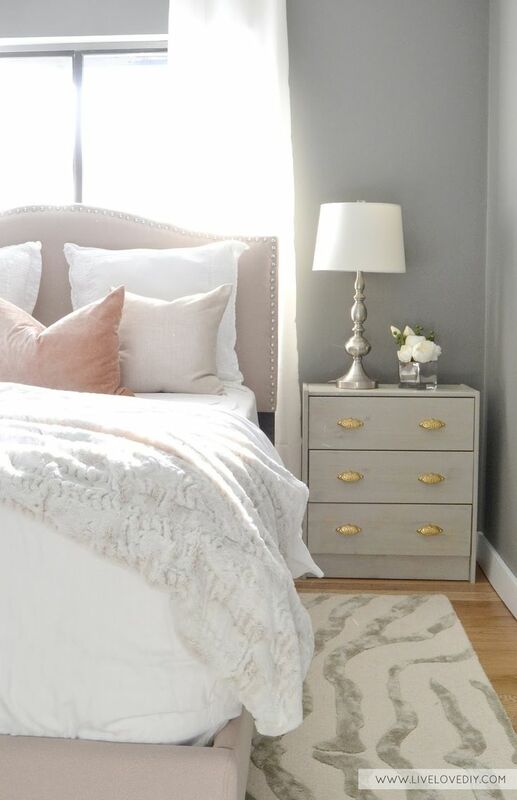 Gray, light pink, and white is another color scheme that I completely adore. This bedroom seems like something that you wouldn’t get tired of easily because the colors are so calming. 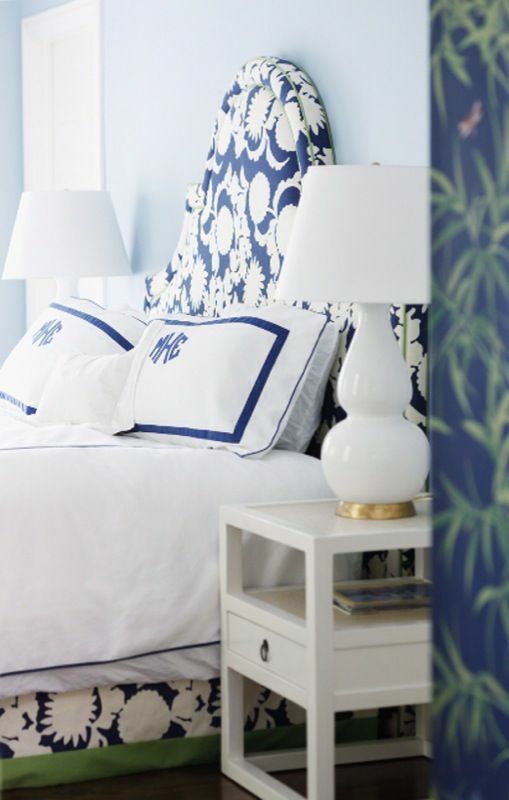 I love how crisp a blue and white bedroom looks. 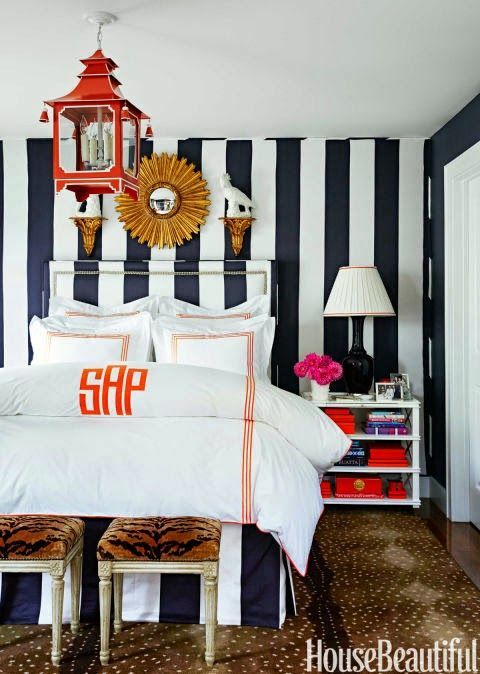 The wallpaper and headboard add a nice pop of color to an otherwise all neutral bedroom. This bedroom is gorgeous. 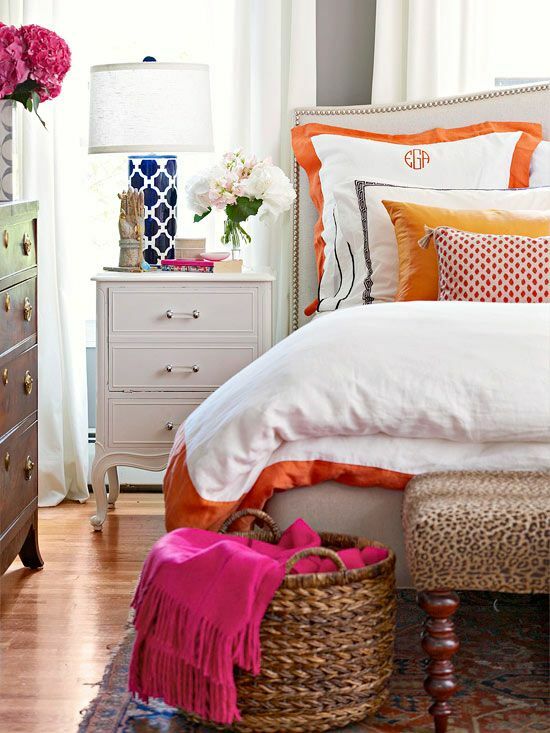 I love how they added pops of color and pattern with the pillows, rug, and lamp shade. I am also a big fan of the antique furniture in this bedroom. Although I am not the biggest fan of the color green, it works with this bedroom. I love the bubble lamp and the little cheetah throw pillow. I absolutely love this bedroom. 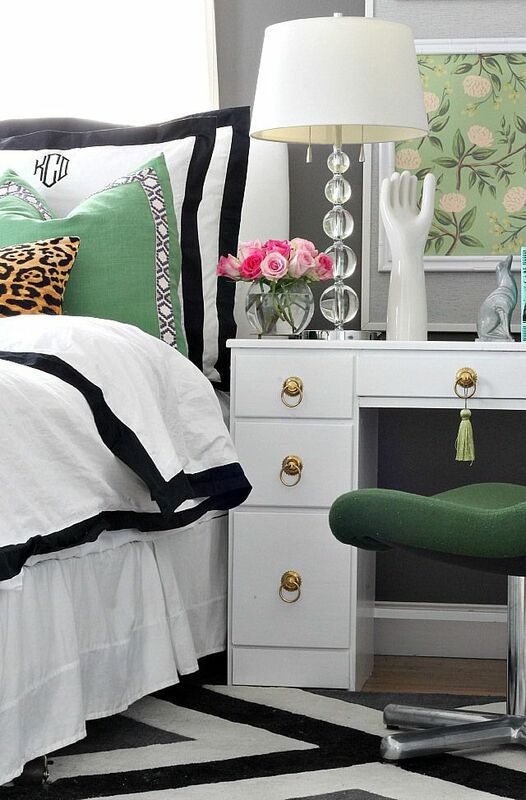 From the cheetah stool to the fun nightstand, this room has got all that I want. I probably would use a different accent color than orange if this was my bedroom but I feel like it surprisingly works. 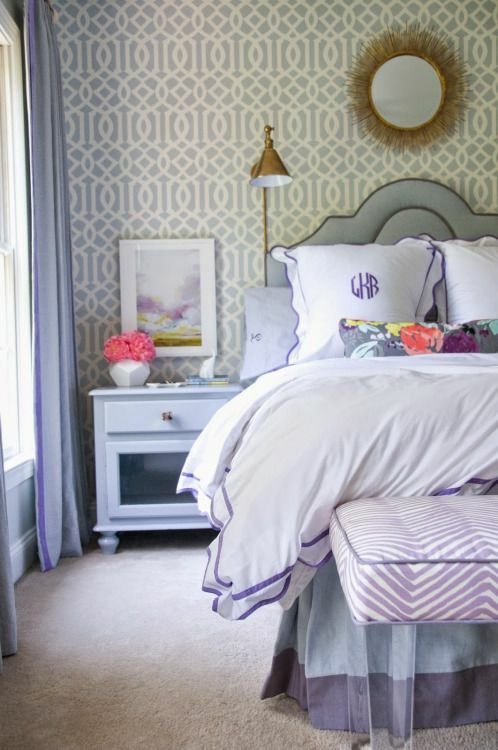 Which of these beautiful bedrooms is your favorite? Feel free to let me know down in the comments.